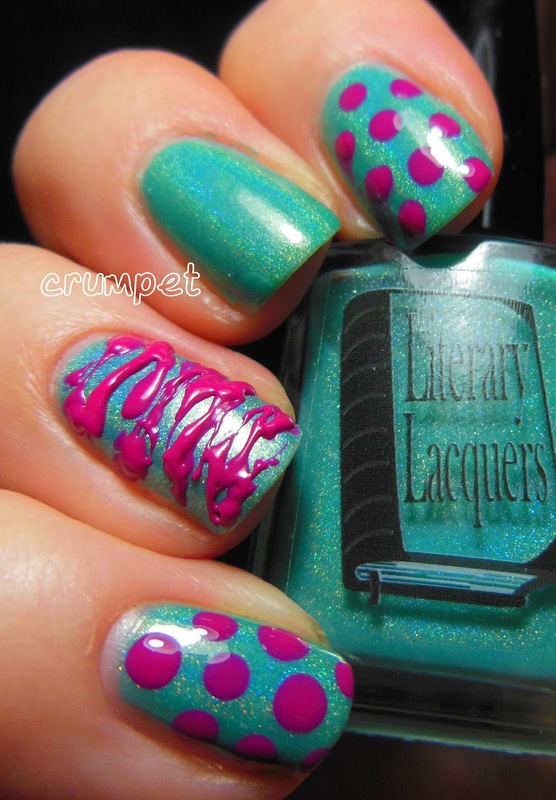 Earlier today I showed you the sublime Some Glad Morning from Literary Lacquers, with an accent nail of Ether Binge. After I wore that mani, I really wanted to do something on top of it, and all I could see in my mind's eye was an obnoxious fuchsia - step forward Sation Fan The Flames Fuchsia. The base has tinged the fuchsia slightly, but I do like that - just bear in mind that this polish a rocking dark bright pink, not violet or purple tinged. 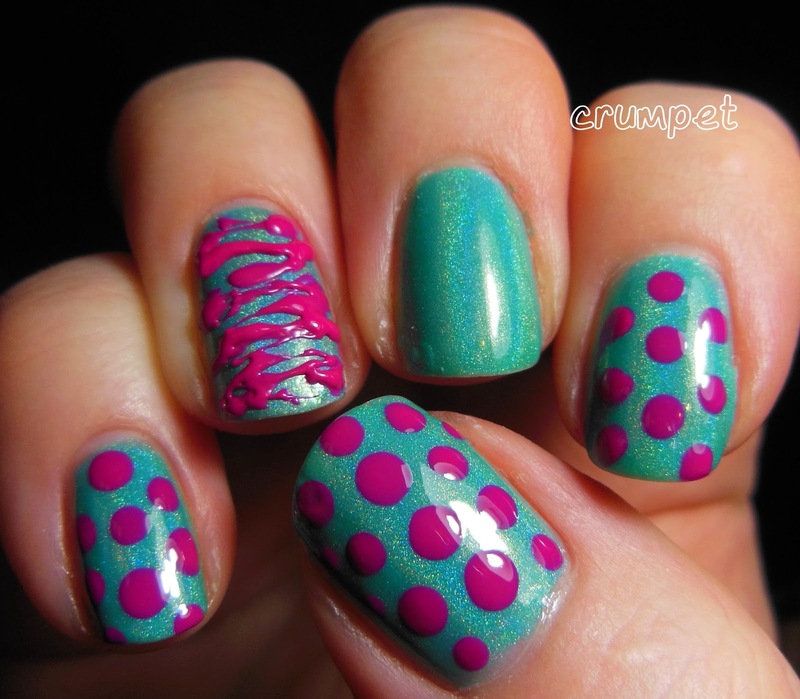 I did super large dots, cos dots make me happy and then, inspired by PiggieLuv, tried a spun-sugar nail again. It's still very thick and gloopy - but doesn't it look awesomely 3D? Ha ha. 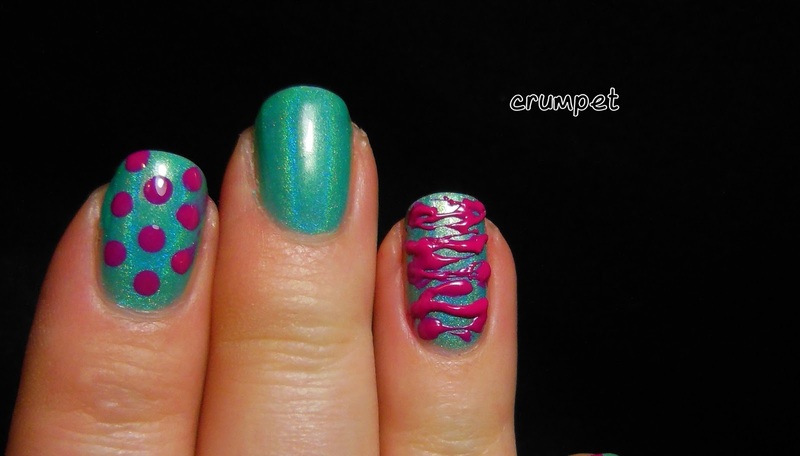 I think I am too impatient for those sugar manis and that's why I end up all clumpy and lumpy. 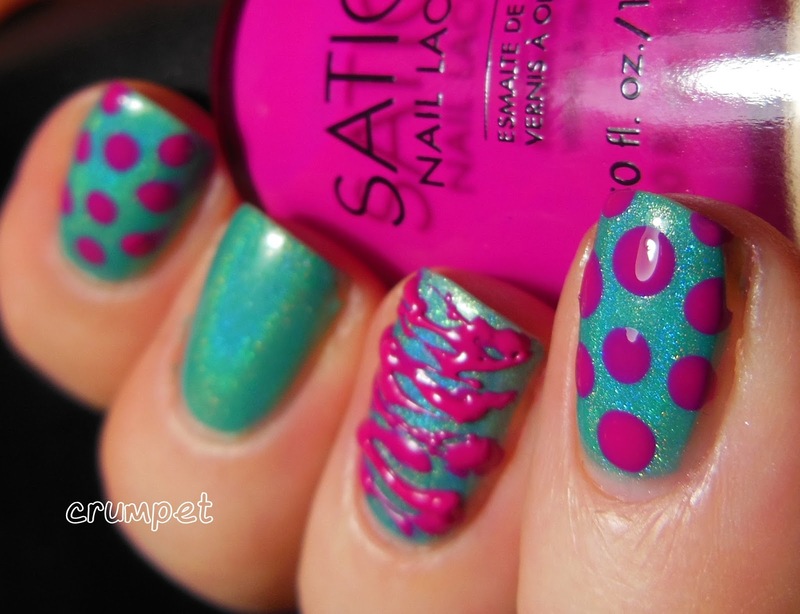 Anywho - behold - one of my favourite manis of the year.